Hi folks. As you may notice, the stuff we got from Nokia World is slowly trickling in today. This is our first video with the Asha 300 touch and type. Pretty much the very popular C3-01 with 1GHz, polish in the design and an additional messaging button. My sister loves her C3-01. Can’t get enough of the Opera browser. 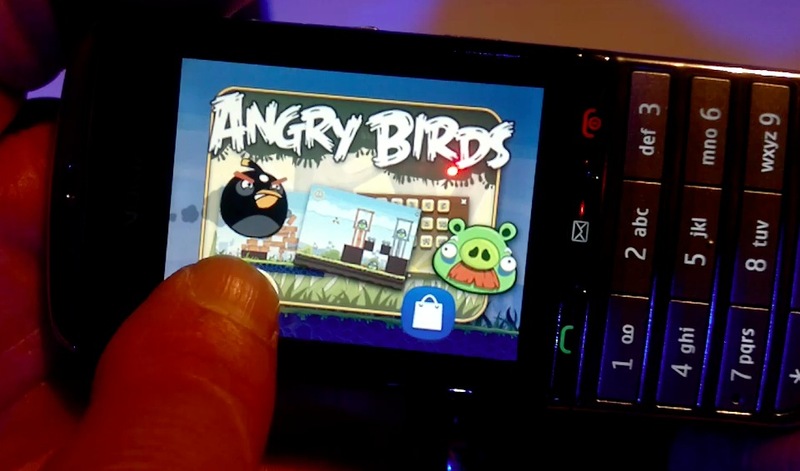 Oh, you can also see Angry Birds demoed here. No more necessity to get a smartphone. Now the millions of S40 users can enjoy throwing poultry to kill some swines. BTW this video is recorded by the N8. I am stunned not only by the brilliant picture quality, but also by the audio. Right there in person I thought none of this would come through as it was so noisy. The mic placements and the continuous autofocus when set to macro is perfect for events like this. No wonder @Chippy uses a N8 for his stuff.